Having decided it is definitely time to automate your label application, the next step is finding a labeller that you can afford. 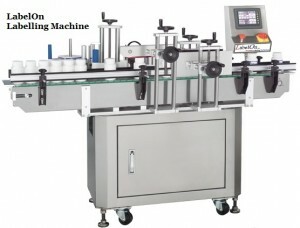 Labelling a flat or oval sided bottle you can be faced with new machine proposals that range from USD 30K to USD 120K. Labelling a round bottle can involve new machine proposals of USD 13K to USD 100K. These price tags can be scary and fall into a range that you simply cannot afford. A potentially very low cost source for second hand and used labelling equipment are auctions for packaging equipment. A simply internet search will bring up many auction houses and listings. There are also places that buy up lots of surplus or liquidated packaging lines and then offer the line components separately. Ideally you will have well qualified electrical and electronic staff and a good mechanical workshop to support the used labelling machinery. The model machine you find should be a machine that spare parts can be purchased from the manufacturer or the representative to that manufacturer. A good preliminary step would be to do research on the cost and availability of spare parts for that model from that manufacturer. A word of warning here, some used equipment may be past the service life of the machine and hence spare parts may no longer be available. When reviewing the used label applicator you locate there may not be the luxury of seeing the machine operate or having a guarantee the machine will work for your application. Therefore, look for machinery that, when advertised, is advertised as “versatile”. If you are not sure about what a versatile labelling machine means take a good look around the LabelOn™ Modular Label Applicators. The machinery should have facilities for very easy and quick adjustments to cater for product a wide range of product widths and heights. The label Heads should have tilt controls in two directions. Tilt adjustments should be available along the direction of the product conveyor and towards the product conveyor. Given there is double axis tilt control there is a very good chance the machine can be configured to the shape of your product, from the shape of the products for which the used equipment was originally produced and supplied. The electronics should be Modular and ideally plug in and plug out electronics. The electronics should use standard components. Steer very clear of used label applicators that have proprietary electronics and touch controls as these will usually be very expensive to replace and very difficult to repair without paying top dollar from the machine supplier. Wherever possible get as much information from the original machine supplier to determine the capability and serviceability of the used label applicator. There are bargains to be found and there are cheap used labelling machines to be found, on some rare occasions it can turn out to be that $50 lying on the side of the road that nobody else noticed. In most cases used labeling machines will represent a compromise on what you need as compared to what is available.